Annually World Book Night and National Stationery Week are celebrated in the UK during April. For those of you who haven't heard of these two events yet, I'd like to share in today's post what they are about, as I've taken part in both for several years. World Book Night (WBN) takes place across the UK, Ireland, USA and Germany on 23rd April. In the UK, WBN is supported by The Reading Agency, a non-profit organisation that shares the passion for books and spreads the joy of reading with a special campaign. A list of 20 book titles across various literary genres is published and people can then apply for their favourite three titles to hand them out on an actual day to strangers, family and friends or colleagues. Of course, a bit of luck is involved too as not everyone who applies gets chosen as a book giver, but if you're lucky, you'll get send 20 copies of your preferred title. In mid-April, books will be sent out to you, which can be handed out to your family, friends, neighbours and colleagues. The idea is ideally to gift a book to someone who barely reads and this one will get them back into reading, or to someone who has usually little access to books or can't afford them. This charity event has always been a lot of fun and as someone who has studied literature, I'm excited to share the passion for reading. In the last four years I had the pleasure to hand out copies of The Reader (B. Schlink), Getting Rid of Matthew (J. Fallon) and The Assassins Apprentice (R. Hobb). This year it'll be 'Now You See Me' from Thriller author Sharon Bolton. Anyone can take part and the application process to become a book giver usually starts in January. 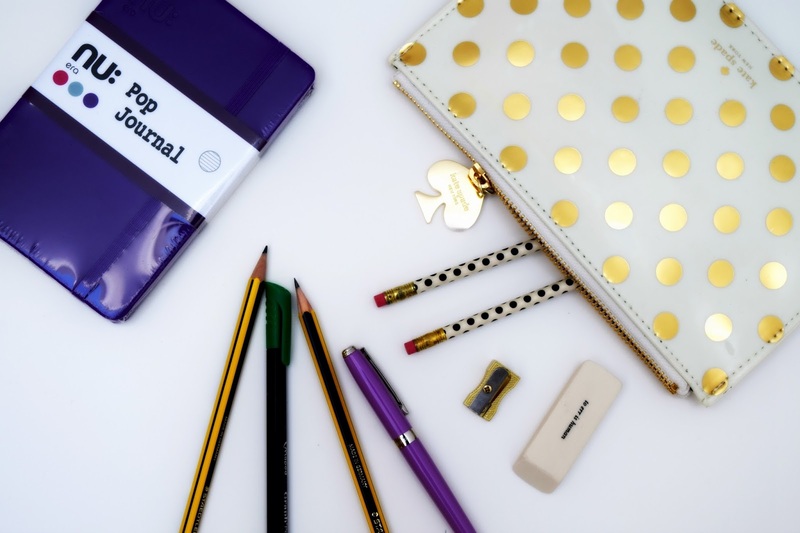 Last year I included a few stationery posts here on Style Lingua. I reviewed the Sheaffer Sagaris Pen as part of the Writing Is Forever campaign, visited the Stationery Show in London and shared my favourite brands because everyone loves stationery right? This year, National Stationery Week celebrates again everything cute gel pens related, diaries to die for and of course elegant writing instruments. To store all of my latest stationery gems, I picked up this super chic Kate Spade pencil pouch. Can we all please take a moment and fully indulge into its cute golden polka dots and sleek design? National Stationery Week, sponsored e.g. by Sheaffer, is accompanied by several events with the main highlight being the Stationery Show in London, Islington. Have you been to the show before? It is first and foremost a trading show, but it introduces a wide range of brands with some unusual office supplies and innovative stationery. Definitely worth checking out! Thanks so much for checking out today's post. Do you know any other events that are celebrated nationwide in April? Do you take part in any of the mentioned above? Have you heard of WBN and National Stationery Week? 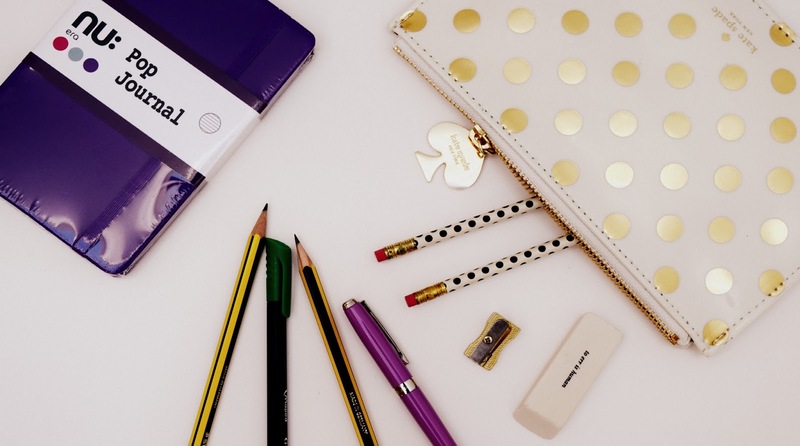 What's your favourite read that you would like to hand out or favourite stationery brand?